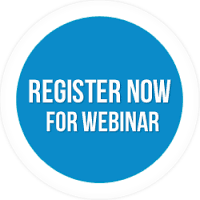 Webinar: Food Recovery = Food Rescue | Recycle Florida Today, Inc.
https://www.iama.edu/clinics/kamagra-pillen-bestellen.html After registering you will receive a confirmation email containing information about joining the webinar. The United States spends an estimated $218 billion a year growing, processing, transporting, and disposing of food not eaten—52 million tons of food landfilled annually, plus another 10 million tons that is discarded or left unharvested on farms (ReFED). While in our country, 13 percent of households (15.8 million households) were food insecure in 2015 (Feeding America). The Food Recovery Hierarchy prioritizes actions communities, organizations, businesses, and individuals can take to prevent and divert wasted food. Feed Hungry People is the second tier of EPA’s Food Recovery Hierarchy. Wasted food prevention and recovery can save resources, conserve water, and reduce greenhouse gas emissions, and help relieve hunger. · The Food Rescue Alliance , a project of click here Boulder Food Rescue, facilitates grass roots food recovery and movement-building around ending food waste and engaging in food justice in the Rocky Mountain region and around the country. The project entails a peer-learning network between food recovery organizations to share information, technology, and resources to develop innovative models of food recovery. · The here Friendship Donations Network (FDN) in Ithaca, New York. FDN rescues fresh, nutritious food that would otherwise be thrown away from stores and farms and redistributes it to neighbors in need. FDN’s Neighborhood Food Hubs program received 8,268 pounds of fresh produce donated by household volunteers in 2015. Through the “hubs,” residents can donate excess produce from gardens, orchards, or CSAs (community supported agriculture). go here For more information https://bmra.org/bmra/university-of-chicago-creative-writing/21/ : Athena Lee Bradley, NERC at 802-254-3636/athena@nerc.org. Funded in part through a United States Department of Agriculture grant.